Provide comfort for the family of Dru Schlosser with a meaningful gesture of sympathy. Dru Dakin Schlosser, 41, of New Hartford, beloved husband of Jennifer Birden Schlosser, passed away on Saturday, April 6, 2019. He was born June 14, 1977 in Hartford, son of Ronald J.C. and Mary Dakin Schlosser of Indian Land, SC and had lived in East Hartford prior to moving to New Hartford 10 years ago. Dru was a graduate of Central Connecticut State University, having received his Masters Degree in Education and Education Leadership. He was a long time educator, most recently as a Physical Education and Health Teacher in the East Hartford School System. Dru was the personification of joy to all those around him. He lit up a room where ever he went. His smile was infectious and truly the embodiment of his personality, no matter the situation he had a joke or quip to ease the minds or entertain those amongst him. He was always willing to lend a hand, whether it be helping a family member, colleague or friend. He talked highly of his students and strove to better their lives in any way possible. He was an avid outdoorsman, from going on hikes with his family, to ski trips, to building and riding quads with his boys, to painting nails and styling hair with his daughter. He found solace in tending to his garden and making his property warm and welcoming. He was a very handy man, always attempting to fix a problem around the house on his own. His love for music was only superseded by his love for his family and he will be truly missed by all those who knew him. In addition to his loving wife and parents, Dru is survived by his three children, Nathan, Benjamin and Raelynn; his two dogs, Eisen and Brüder; his sister, Carrie Schlosser Fisher, her husband Aaron and their children, Austin and Brynn, of Indian Land, SC; his in-laws, John and Debbie Birden of Harwinton; his brother-in-law, Tyler Birden, his wife Beth and their son Landon of Litchfield and his sister-in-law, Kelly Goulet, her husband Phillip and their children, Madison and Matthew of Winchester. A celebration of Dru’s life will be held Saturday, April 13 from 1:00 PM to 4:00 PM at the Zen Bar, 317 Farmington Avenue in Plainville. Please visit Dru’s “Book of Memories” at www.vincentfuneralhome.com for online tributes. We encourage you to share your most beloved memories of Dru here, so that the family and other loved ones can always see it. You can upload cherished photographs, or share your favorite stories, and can even comment on those shared by others. Dearest Jenn & family, I have no words to say... My heart aches for you all. I am keeping you in prayer and am here if you need anything. ❤️ Psalm 34 :18 The Lord is near to those who have a broken heart, And saves such as have a contrite spirit. On behalf of the entire Health and Physical Education Department, I offer our deepest condolences to Dru’s family and friends! He was a great colleague, friend and teacher and he’ll truly be missed! Our thoughts and prayers are with you all during this difficult time! Sending our deepest sympathies to Dru’s family and to the Birden family. May God wrap his loving arms around all of you during this difficult time. I’m devastated at the news of Dru’s passing. I knew Dru since elementary school and my kids had him as a gym teacher at Pitkin and they adored him. 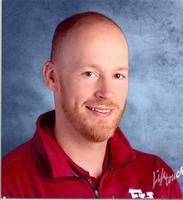 He always had a smile on his face and he was an amazing teacher.